SquirrelThat is a free iPad app that is excellent for note taking. This is a great tool that students can use when researching a project or taking notes during a lecture. Best of all, it's simple to use and lets students share their notes w/ others. 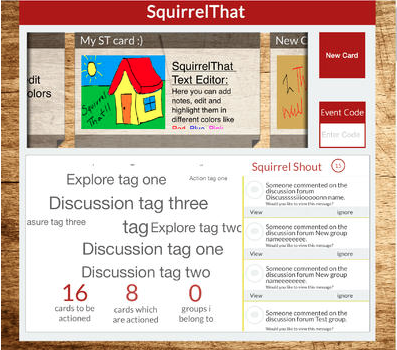 Also, the abundance of features for makes SquirrelThat a nice learning tool as students can annotate on their notes, draw, add media, and more. I highly recommend checking out SquirrelThat by clicking here!!! To find SquirrelThat on Edshelf click here.